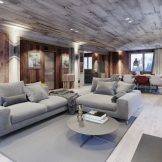 Skiingproperty.com is delighted to offer these ski apartments which are located in a prime ski-in ski-out position in the charming resort of Méribel. This project was a former hotel, which has been transformed into an amazing collection of large apartments. 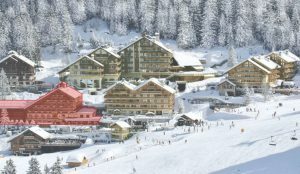 Méribel is part of the Three Valleys, the largest ski domain in the world with over 600 km of interconnected slopes and 120 km of cross-country skiing. 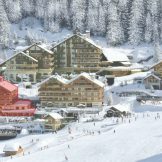 Composed of high-end chalets and traditional properties, Méribel is known to be the most prestigious skiing destination in the world. The resort is the perfect blend between luxury and family atmosphere. 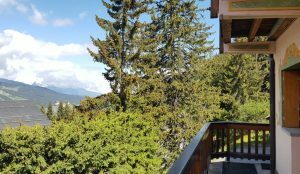 Two hours away from Geneva, Méribel is extremely well connected to other French cities and flights from all over the world fly directly to Geneva. The Rond Point des Pistes is one of the most sought-after areas of Méribel. 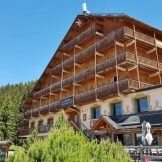 Located at the highest point of the resort at 1,800m, the Rond Point des Pistes enjoys a dominant position compared to the rest of the village and receives plenty of natural light making it the sunniest part of the resort. 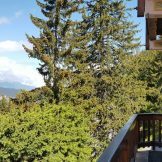 This prime location also allows you to enjoy exceptional views over the village and the valley, and provides a peaceful environment to fully enjoy the spirit of the French Alps. 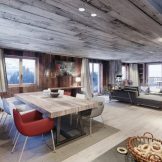 These apartments boast an exceptional ski-in ski-out location, meaning you will be able to ski to the front de neige and directly into the centre of Méribel. The immediate vicinity of these alpine properties offers shops, restaurants and bars, whilst further amenities a supermarket, a bakery and a butcher are located in the Plateau district less than a 3 minute walk. A ski shop is also available right next to the residence. 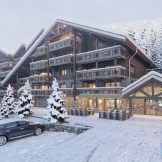 Spread over five levels, this new-build project in Méribel encompasses a wonderful collection of large 3-5 bedroom apartments for sale ranging from 91 to 345 square metres. All of the apartments span the entire width of the floor, which means they have double orientation. 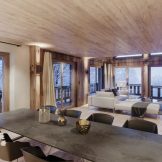 They also benefit from exterior space to enjoy the unobstructed west and south views over the village, the valley and the luminosity of the Rond Point des Pistes area. Some of the properties will benefit from a spa area with a steam room and a sauna. There are five penthouses available, each with an impressive 5-metre high ceiling. A cellar, ski lockers and at least two parking spaces are also included with every apartment. 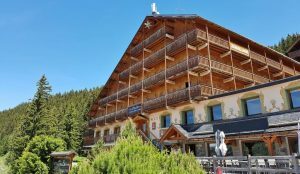 The restaurant of the former hotel occupies the ground floor of the initial building and will continue to operate, allowing future buyers to enjoy a typical alpine meal on their doorstep. 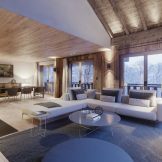 In Méribel, ski-in ski-out land with building permission has become a rarity, while the demand for high-end ski-in ski-out properties remains constant. This is further restricted by the urbanism plan in the village that is one of the strictest of the Three Valleys domain. With a touristic capacity of 37,908 beds and with a growing number of tourists coming in winter every year, plus lots of activities in summer, the resort is a safe place to invest, if you want to rent your property. Finally, a concierge service will be available in the building. 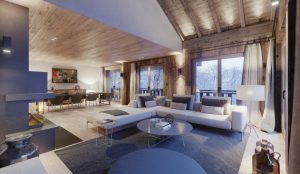 Ski apartments, three to five bedrooms, from 91 to 345 square metres, priced from 2,025,000 to 5,435,000 euros.